Are the Reds out of the woods? Out of the dark? Out of the night? Can I feel all good now about the Reds? Have the flying monkeys been recalled? Were the AAAA Miami Marlins just the tonic needed to get the offense going? Or must I still suspect that David Bell might be in over his head? Does lineup construction remain a bone of contention or can I live with the occasional Scott Schebler at the top of the batting order? Are the new coaches and their iPads drowning the players in numbers? The Florida Men gave a respite from worry, but, hey, there’s 150 potential nightmares to go. Stay with me. My iPhone is the culprit and after I finish writing this, I promise, doggone it, I’m hurling it into the Hudson River. It’s gone wrong and my long commute has given me time to pause. To reflect. To center myself again. You see, as I make my way to work each morning, I no longer have to wait in line for my coffee at the crowded Starbucks on 53rd and Third. I make a mobile order with an app on my iPhone from deep inside the subway all the way on the other side of midtown Manhattan. By the time I reach the front door— voilà —my venti-almond-milk-half-double-decaffeinated-half-caff with a twist of lemon awaits. I hardly break stride. I don’t mean to be smug here, but, come on, only a schmuck waits in line these days. Why stand in a long queue for movie tickets when I have Fandango and Flixster to do the heavy lifting for me? I get my boarding passes delivered to my phone while I’m riding in a car (that I ordered with my Uber app, by the way) in route to the airport. Grocery shopping? Pffft. Fresh Direct delivers those Little Debbies straight to my front door. Think I’m going to spend my valuable time at the mall searching for a parking space when Amazon and QVC do my shopping for me from my couch? Fuggedddaboutit. And why would I waste my time printing out PDF tickets for some game I bought on SeatGeek last month? I have an electronic wallet for that. 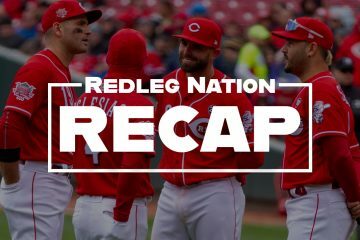 So, why am I being asked to wait for the Reds to prove that they have definitively turned this thing around? Me and Veruca Salt want some answers and we want them now! The Reds scored a bushel and a peck of runs against the Miami Marlins and that once anemic-looking offense now has a run differential of 7+. I like me some run differential because Run Differential is a simple stat devoid of all that complicated “divide by and square root of linear weights” stuff. It relies on the very simple metric of basic math: the difference between runs scored and runs allowed. Sure, you can make it still more accurate (and more complicated) by factoring in ballparks and all that. But here’s the thing: it turns out this offers a pretty good correlation of a team’s won/lost record over 162 games. Score one hundred runs more than your opponent over a season and you’re a playoff team. I don’t need a beautiful mind to comprehend that. Which leads me here. So much has gone into remaking the Reds, it’s hard to understand why there isn’t more patience with this process. Yes, the Reds have been mostly losing for the last two decades plus. We’re tired. I know. Still, at some point, all of us need to free ourselves from the shackles of the losing past and allow this new regime to show what they can do. Because we believe in this process, do we not? Scott Schebler leading off may be maddening to some. Matt Kemp in the lineup may make the blood boil. Here’s the thing, tho: David Bell is building consensus and trust in his new clubhouse. Sometimes, that means showing guys that you believe in them. Or that, at least, you believe enough in them to let them show you what they can (or can’t) do before you assign them to ancillary roles for the rest of the season. I’m okay with that. You don’t have to be a happy clubhouse to be a winning clubhouse, but it helps. And if his players don’t believe in him, don’t trust him, don’t believe he has their best interests at heart—individually and collectively—David Bell and his coaches are going to have a hard time getting them to buy in to everything else they are selling. There’s a lesson or two to be learned from events taking place in Chicago right now. Those always lovable Cubbies have had a start from hell, as well. Tom Ricketts’ team—which has a payroll of over $210M according to Spotrac, higher than the Dodgers and Yankees—started the season a woeful 1-6. Baseball Prospectus’s 3rd Order Wins Percentage has them in last place in the Central. Fans are already calling for the head of pitching coach Tommy Hottovy and blaming the owner for not climbing a step ladder to add more free agency dollar bills to an already bonfire of cash burning after the signings of underachievers Jason Heyward, Yu Darvish and Tyler Chatwood. 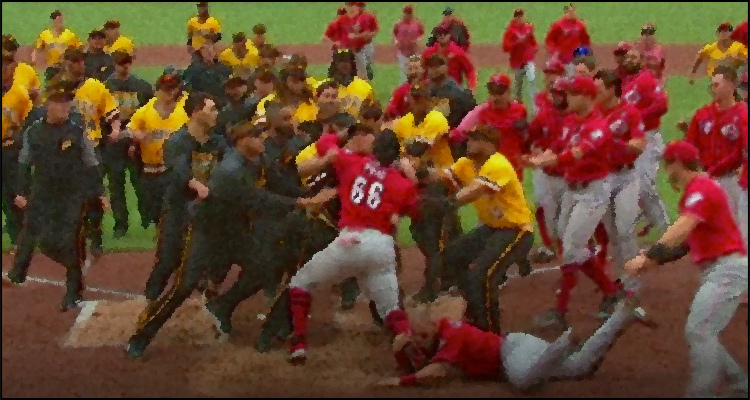 The paint is still drying on the canvas of that recent Renaissance masterpiece, Puig Against the World. If it feels as if the image of Tucker Barnhart clinging to the leg of Yasiel Puig was metaphor for the Reds desperate hold on to the rest of the National League Central as April began, just remember this: it’s still only April. Early April at that. Which means if the Reds go into siesta time against the Cardinals this weekend, we shouldn’t fall back into panic mode again. Right? Brian Kenny has a television bit he does on the MLB Network called “Small Sample Size Theatre.” Right now, the Reds are in Scene One, Act One of that play. Then there’s this: Cincinnati has begun the season 1-8 for the sixth time. They’ve finished over .500 in 3 of those first 5. So, all is not lost. 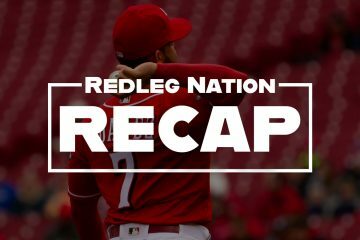 Yes, a lousy start has put a real dent in the Reds’ chances of winning 95 games. But, they were never winning 95 games to begin with, if we are being honest with ourselves. There’s plenty of season left. All of it, in fact. Goodbye smartphone. Hello, Motorola Razr. Great piece. Twitterverse never takes the longview in lineup construction. Yes, great, thoughtful piece, with nice touches of humor. Well done. Will keep this in mind during this road trip. Votto needs to lead off. Too Slow, too much power. Votto is best hitting 2nd. He’s slow as molasses which is negative but that is outweighed by his ability to get on base. You don’t want Votto hitting 3rd 4th or 5th because he walks more than his desire to drive runs in. Let guys like Suarez and Winker (should be batting 3rd or 5th) drive him over and in to score. Thanks, Richard. Great writing, as always, and valuable perspective, as always. I am getting tired of the “launch angle” craze. Too many bad examples on the Reds, but I will choose Votto as an example. Notice his new quirky practice swing? He has been doing this for two years…and what has happened to his stats? No one, other than Votto seems to be interested in choking up and making contact on a two strike count or when the situation simply calls for contact. Put them all back on the practice tee and do as you do in golf…swing down into the ball! His practice swing looks to me as though he’s reinforcing opposite-field- hitting muscle memory, but I hadn’t thought of launch angle. Interesting. His stats, though, have been far from bad, even for the past two years. The drop-off in power–homers, really–might simply be age-related, mightn’t it? Some players may be mis-using or overdoing launch angle adjustments, but swinging down is not a good idea. Walt Hriniak’s school has been closed for some time due to lack of production in the 21st century. Huge stadia with ultra-hard astro turf are gone, too. While it may make us feel like dinosaurs, the hitting advice we received in grade school is not always the best advice today. Willie McGee and Vince Coleman are far in the rear view mirror. One piece that is still good – change your swing (most of the time) with two strikes. Choke up, even. That still works. Although there are times where I feel like Votto gives up to much power in 2 strikes, Votto thinks more about hitting than we do and learning new things isn’t a negative. Yes. You hit down on the ball in golf bc it’s the only way to get the ball up in the air. Irons have loft and grooves. You have to pinch the ball against the turf to drive it up the clubface across those grooves and produce spin and loft. As for launch angle, the easy way to beat the shift is to just hit the ball over it. Age may be a good reason to have him leading off. But if I had s golf swing that rigid, I would be sent to the Putt/Putt courses. Watch Schebler, Suarez, Kemp etc. swinging for the fences on every pitch. Count the number of times they strikeout on low breaking pitches. This launch angle craze makes them more predictable as hitters…notice the new defensive alignments…to which no one seems interested in making adjustments. Votto is a notoriously slow starter. But even with his current stats he’d project to have almost 70 extra base hits this year. As for “no one adapting to the shift”, Votto himself was 2 for 4 against the Marlins on Thursday with both hits to the left side and through vacated holes. 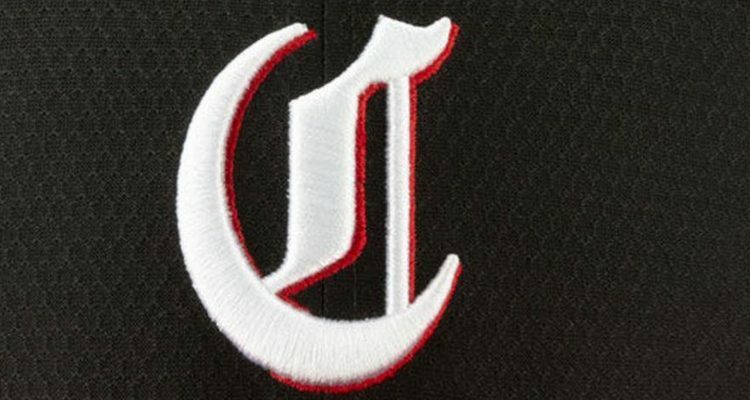 And lest we mistake these for lucky, seeing eye singles the second hit was an RBI single that appeared intentional – Jeff Brantley acknowledged that at the time – and was the hardest hit ball of the game. I want to see the Reds take both from the Cards and stick with some even-keel .500 baseball. Also want to see them move Kemp and maybe Puig to make room for Ervin and Senzel. If they can keep building farm depth then this rebuild will have real legs. I want a party with roomfuls of laughter. 10,000 tons of ice cream. And if I don’t get the things that I’m after – I’M GOING TO SCREAM. Please don’t move Puig. Not only is he great to watch but he is interesting as a character. IMO, he is the heart of this team – make no mistake, not the brain but the heart. His crazed outburst against the Pirates was priceless. Indeed, in fact an extension of Puig would be a good move. With the increase of extensions, there is a possibility we could get him for cheaper than waiting for FA. Farmer will go down for Senzel, and I would not be against moving Kemp for Ervin. Puig provides energy that was otherwise not there. Puig is a human interest story that goes far beyond baseball. He’s a colorful character and larger than life guy and very likeable and an international icon. He also handled his trade from LA to Midwest Cincinnati as well as anyone could abd embraces the fans and city. I’m rooting for him . Hope he shines in Mexico and on the West coast. He is #Cardskryptonite . He single handedly ended their season with 5 HR in 2 days last September. Old-school: I like your comment and use of the descriptive phrase ‘colorful character.’ The Reds, as a team, have lacked a presence, and Puig is a sparkplug type player and he should be extended. Well, he needs to hit 30 home runs and be a hammer in the lineup and play a good RF before an extension. But, who doesn’t root for him to do that? He has a relationship with Mexican baseball. Interesting to see how well he is received and Cincinnati in Monterrey. He might be that guy to elevate the Reds way past Midwest latitude and longitude and also bridge the generations. Another great read Richard. I get a kick out of NY Yankee fans crying the blues. Watch out for all those tears falling on 53rd. It is going to be a gully washer. Thank you, Richard. I love your perspective and your writing. Good luck with that Razr. Weird but interesting little series here! I’m on Over 10.5 with Roark and Wainwright trying to snap curves off at high elevation and a tiny park. I don’t trust Roark at all. I think they’ll need to look elsewhere at some point. As always….hope I’m wrong except for the 11+ runs tonite! great late night reading Richard. for me, the line up construction and defensive shifts are less important than Bell’s ability to change the culture of malaise and frank laziness that has possessed this team for the last 5 plus years. Honestly I was hesitant at first and didn’t think he had the guts to do it but after leading the brawl against Pittsburgh I think he may be the guy. This team actually has a pulse now! By the way I dumped my smart phone for a flip phone 2 years ago and my quality of life increased 10 fold!